PROCROP is a collaborative European project entitled Professional cross-priming for ovary and prostate cancer. 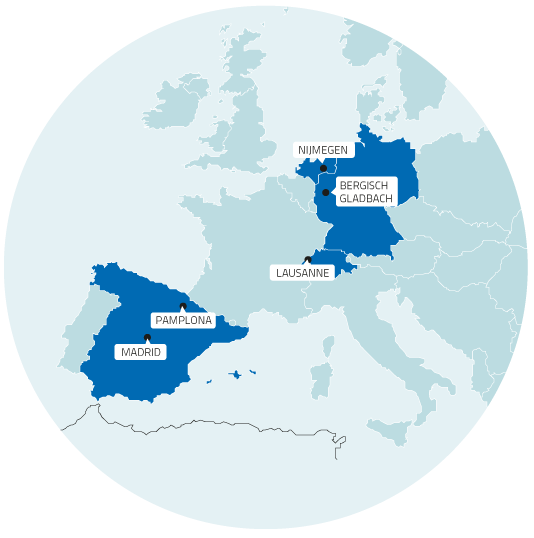 This Collaborative Project involves seven partners from four different European countries (Spain, Netherlands, Germany and Switzerland) and is related to the theme PHC-13-2014 – New therapies for chronic non-communicable diseases. The PROCROP project (Ref. #635122) is funded by the European Commission within the Horizon 2020 Programme for Research and the Swiss Government. The project is co-ordinated by the Fundación para la Investigación Médica Aplicada-FIMA, a European Center for Applied Medical Research, started in 2004. PROCROP aims to develop in three pilot clinical trials a suitable individualized cancer vaccine technology for castration resistant prostate cancer and metastatic cancer of the ovary that would complement currently available therapies to increase efficacy. The completion of this project will represent an important advance in the clinical management, physiopathology and therapy of ovary and prostate cancer. The international team of experts involved in the PROCROP consortium brings together complementary scientific disciplines to implement a new therapeutic option for ovary and prostate cancer patients. Learn more about PROCROP Project data and figures. I consent to procrop.eu collecting my details through this form.